It is a content management system which I use to manage my blog files, posts, and pages. In this post I am referring to WordPress.org, not WordPress.com, you can learn the difference between the two here. Both platforms use software’s known as WordPress plugins to execute specific commands and perform several functionalities. Choosing the right WordPress plugin is vital because some can break your site or cause compatibility issues with other third-party applications, such as themes. WordPress plugin directory contains more than 50,000 plugins either serving a similar purpose or different uses. As a new or aspiring blogger, you can get confused when choosing the best option in that large sea plugins directory. You are lucky because in this post I will be sharing 10 best WordPress plugins I use daily to manage this blog. This post will help you get over all the confusion and help you to choose the best WordPress plugin for your blog or online business website. I will only recommend what I use, and so you are free to borrow the whole list and use it on your blog too. Yoast SEO is one of the best WordPress plugins I cannot live without on this blog, and that is why I put it number one. By this, I mean that it helps me to control how my blog posts titles, URLs, Meta descriptions and target keywords will appear on the search engine results page. With Yoast, I can ensure that the focus keyword is used correctly in the title, URL, and meta. Yoast gives you suggestions on how you can improve the structure and readability of these elements to make them more clickable on the search results. This is a file that groups all similar files into one category making faster for search engines to crawl and index your site. Read more about sitemaps here. Yoast will automatically generate a sitemap for your blog or website as shown in the example below for this blog. After Yoast creates the sitemaps, I then submit the sitemap to Google through their search console to speed up. First, you need to do is log in to your Google search console and move to the Crawl section > sitemaps > submit. To be able to login to the search console you must verify ownership of your property with Google first as explained in that post. Set up twitter cards for SproutMentor Twitter account. Configure Facebook open graph for Sproutmentor Facebook account. Verify rich pins for Sproutmentor Pinterest account. It will help you to manage the RSS feed of your blog. You can use it to set up breadcrumbs for your website/blog. You can use the redirect manager to perform redirection when you change URLs for your posts and pages. Help you to submit your site to webmaster tools. Discover crawl errors on your posts and pages. Why do you need Yoast SEO WordPress Plugin? Your blog will need traffic for you to make money with it or get readers. There are many online business promotion methods you can use to drive traffic to your blogs, such as email marketing, search engine optimization, and social media marketing. Before you get organic traffic from search engines, you must set up your on-page SEO and off page SEO right. This is where Yoast SEO WordPress plugin comes into play because it will help you to streamline your on-page SEO. Use this video to learn how to set up Yoast SEO WordPress plugin for your blog. Industry case studies show that your bounce rate increases by 130% if your site loads with more than 3 seconds. Autoptimize is one of the best WordPress plugins you should have because it will perform the following functions for you. Concatenation of files: This is the process of aggregating or bringing similar data into one group to make them easily assessable by robots. This will minimize the number of requests your server makes before finding a resource in your website. Caching: This plugin will improve the general performance of your browser and website by making the access of files faster. Visit this video to learn how to set up Autoptimize for your WordPress website. Similar to Autoptimize, W3 Total Cache plugin will help you to improve your site speed performance. This plugin is compatible with many WordPress themes and hosting packages, which makes it the best WordPress plugin. It will help you to improve your search rankings and website friendliness through rendering pages quickly. Using Autoptimize and W3 Total Cache together will boost your website speed. The security of your WordPress dashboard and files is essential. This best WordPress plugin will protect your blog from any malware or virus attacks. It will also send you email updates every time someone logins or attempts to log in to your WordPress dashboard. WordFence will send you weekly summary reports for all possible attacks and login attempts to your email, which will help you to monitor any vulnerabilities in your website or blog. I use this best WordPress plugin alongside the three before to strengthen the security of my blog further. WPS Hide Login: It will help you to create a custom wp-admin URL to avoid using the generic site/wp-admin/ URL. Inactive Logout: It will protect you from snoopers who might be gathering your data during your session. Wp Security Question: Helps you to add a security question to your login URL, which improves its security further. Once you create freebies for your email subscribers, you will need to market them on forms embedded on your website. Bloom is a WordPress plugin from Elegant Themes, which will help you to create beautiful optin forms like the examples below from my blog. Follow this link to get Bloom Live Demo. Follow this link to get Bloom Documentation and Tutorials. Seven reasons why I think Bloom is the best optin WordPress Plugin. A) It supports 6 opt-in form options (fly in, pop up, locked content, widget, below the post and in line). B) It supports more than 18 email marketing service providers, such as Convertkit, Aweber, Mailerlite, and GetResponse among others. In case you are wondering the email marketing provider I use on this blog, I use Convertkit, and you can read this post discover how it helped me get 80 subscribers in one month. C) It has 100+ premade templates you can use to create your design. D) It has a wide range of customization options in the design settings. E) It has robust and highly intuitive display settings. F) You will get statistics for every form and even the general performance of all forms. G) It supports import and export of forms from one optin form software to another. You want your posts to get shared on social media, right? This WordPress plugin will help you to add social sharing buttons to your blog posts or pages to make it easy for your visitors to share directly from your site. It will also add social follow media icons, which will make it possible for you to grow the followers of your social media profiles directly from your blog. Monarch supports six types of social sharing icons (fly in, pop up, in media, sidebar and inline). See examples of Monarch social share and follow buttons on this blog. Imagine losing all your blog posts and pages due to a simple mistake, such as installing the wrong WordPress plugin or a malware attack. 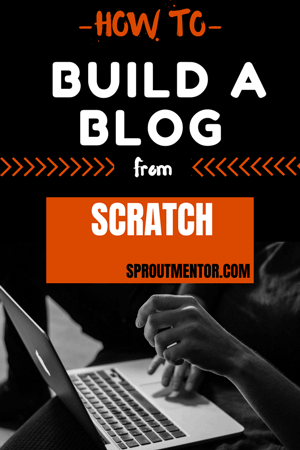 It would be devastating and a complete waste of your time and resources you have spent building the blog. This is the reason you need a backup WordPress plugin which will store files where you can restore them easily in case you lose them by mistake. This is one of the best WordPress plugins for backing up your site because it is easy for use and offers a wide range of backup storage options. Spammy comments are bad for SEO and can easily harm the reputation of your blog in the eyes of the search engines. Akismet is a highly rated best WordPress plugin which will help you to keep spammy comments on your blog posts. It will detect them for you and store them in a spam folder for further analysis by you. Akismet is easy to set up, which makes it even more appealing to use on your WordPress site. You want to make it easy for your users to navigate content in your blog posts. This comes in handy if you write long, detailed posts 2000 words plus like me. I use this plugin to help me add a simple yet pretty table of contents on every blog post. The good this is that you can use a shortcode, which will create a table of content for every blog post. However, this plugin has not been updated for almost one year. Yes, it has been working fine for me, but it can easily compromise my security because it’s not regularly updated. Feel free to share with me the WordPress plugin you use for this purpose because I think I need to find another option, which is regularly updated. I know you created your blog to make money with it. Affiliate marketing is a simple and quick method you can use to make money with a blog even when it is new. However, sometimes affiliate links can harm your SEO reputations to search engines. For this reason, need to use this best WordPress plugin to add a nofollow attribute and a redirection command your affiliate links. Also, most affiliate links are long, ugly and not memorable. This plugin will help you to shorten then and change them into something memorable. This plugin will also give you statistics for every link so that you can know how many clicks each is getting and the conversions each is making. Therefore, Pretty Links WordPress plugin will help you to cloak affiliate links and make them shorter and memorable. Jetpack: A multipurpose use plugin. I use it to add related posts at the bottom of every post and get statistics for visitors on every post. MonsterInsights: I use it to manage and monitor my Google analytics account directly from my WordPress blog. Smush Image Optimization: A must have WordPress plugin which will further speed up your site by reducing the size of large images. Redirection: You can use it to create or manage 301 redirects and track 404 errors in your WordPress blog. 404 page: It helps me to create a customer 404 error page, which redirects users to active pages when they get lost in my site. Other user’s reviews: Keep off WordPress plugins will too many negative reviews. The frequency of updating: A plugin which is updated regularly is the best bet to go with. Support: Care enough to know if the plugin has an active support team in background who can help you sort out any problem which occurs along the way. Recommendations and endorsements: It is practically impossible to test out every plugin on your blog or website. The shortcut is taking recommendations given by other bloggers and online entrepreneurs in your niche. For example, you can borrow from this list because these are plugins I use on this blog on a daily basis. The function: Only pick a WordPress plugin which serves the purpose you want it to for your blog or website. I hope that the theory part above has been informative to you, now let’s come back to the practical part of learning how to use WordPress. Before you can install any plugin, you need to delete default and unused ones, which come pre-installed in WordPress. Having too many unused plugins can slow down your site, so you need only to keep those that are necessary. For example, if you followed this step-by-step guide for creating a website that I wrote in the last post, you will notice that the Mojo Marketplace plugin from Bluehost will be in the list of installed plugins by default. To delete a plugin, go to Plugins > Installed Plugins, and click on “deactivate” it first then “delete” it. After you have deleted all the unnecessary plugins, you are ready to install the ten recommended plugins explained above. Before you choose a plugin, you need to look at the customer reviews, the number of active installations and when it was updated last as the things to consider before installing a plugin. After you install your desired plugin, you can keep the default settings or go to Plugins> installed plugins > settings to make any changes you want on the default settings. How to create a WordPress blog on Bluehost shared hosting. 10 reasons why SiteGround is the best web host for WordPress websites. 20 reasons why Divi theme is the best for WordPress websites. Three things (domain, hosting and platform) you need before you create a WordPress website/blog. I would like to add one more WordPress plugin is a Blog Designer. This plugin helps you to modify your blog page with amazing layout and helps to create your blog page amazing. Great addition Mary. I will check it out. Thank you.